There are many types of headaches: tension, toxic, digestive-related, allergic, suboccipital neuralgia, dental-related, cervico-genic, visual, head/neck trauma, or hormonally-based headaches. This article deals with sinus headaches. Pain, swelling and tenderness is felt in the forehead, behind the eyes and upper cheeks, or in the teeth. Sometimes yellow or green mucous may be present. Infection or allergic response; food sensitivities; diet high in refined carbohydrates and sugar. Under normal circumstances, the bones of the face, jaw, and skull are in a constant state of subtle motion that coincides with breath. 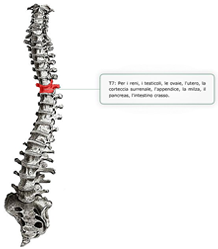 Like vertebrae, these bones can become misaligned or locked in place and cause a number of symptoms throughout the body. Cranial therapy is an essential component in Applied Kinesiology. Using light pressure, Dr. Morrison guides the cranial bones into their proper alignment in order to restore normal motion. This induces a neurological response that leads to pain relief and normal drainage of the sinuses. Finally, dietary analysis is an integral part of treating sinus headaches because the root causes are often found in excesses and deficiencies. When applicable, Dr. Morrison dispenses specific dietary programs and counseling in order to maintain corrections.